Home News ‘Patil’ Marathi Movie Music Launch Was A Grand Success! Marathi audiences have always responded well towards films that present the harsh reality in our society. One such film that tells the story of a young man & his struggle is ‘Patil’. Recently the music of the film was launched by Maharashtra’s Taxation, Help-Rehab & Public Construction Minister Chandrakantdada Patil. On this occasion dignitaries like Shrikant Bhartiy, MLA Prasad Lad, MLA Prashant Thakur, MLA Ramrao Vadkute, Dr. Jagdish Patil Swati Khopkar, Pandurang Lolge, Rupesh Taak, Satish Govindvar, Archana Lolge, Jayshil Mijgar & others. Chandrakantdada praised director Santosh Rammeena Mijgar for his work & wished him well for the film. Produced by Star Craft Manoranjan Pvt. Ltd, Sachiket Productions, & Shaubham Cinevisions Pvt. Ltd, ‘Patil – Dhyas Swapnancha’ releases on 26th October. The film has in total five songs. ‘Patil Patil’ is a fun number sung by Adarsh Shinde & Anand Shinde, while ‘Tula Pahun’ is a soulful romantic number sung by Vishnu Mohan & Bela Shende. ‘Surya Thambla’ is a heart touching number sung by Sukhwinder Singh & Reha Vivek. Then there are two dance numbers ‘Radhela Pahun’ & ‘Dhin Tak Dhin’ sung by Ganpat Mijgar, Babul Supriyo & Shreya Ghoshal! The lyrics of the songs are written by Guru Thakur, Sameer, Suresh Panda-Jafar, Sanjay Varang, & S.R.M while the music is composed by Anand-Milind, Sonali Uday, Prabhakar Narwade, D. H. Harmoni & S.R.M. Alien. 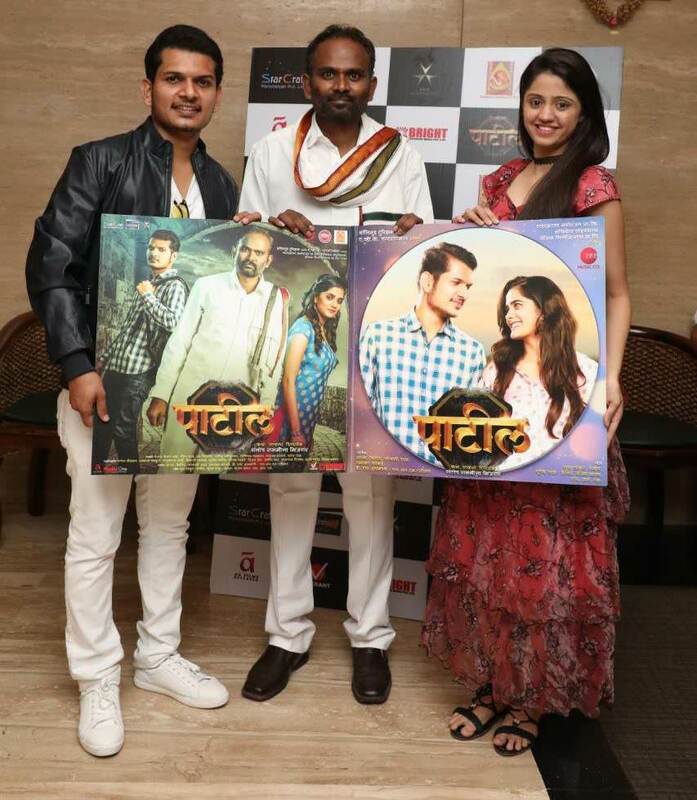 The music of ‘Patil’ is released under the label of Zee Music! The film narrates the inspiring tale of Shivaji Patil’s life. The film stars Shivaji Lotan Patil, Varsha Dandale, Bhagyashree Mote, Narendra Deshmukh, Prateema Deshpande, Suresh Pillay, Kapil Kamble, S.R.M. Alien, Yash & others. While Dr. Jagdish Patil will be seen in a special appearance!